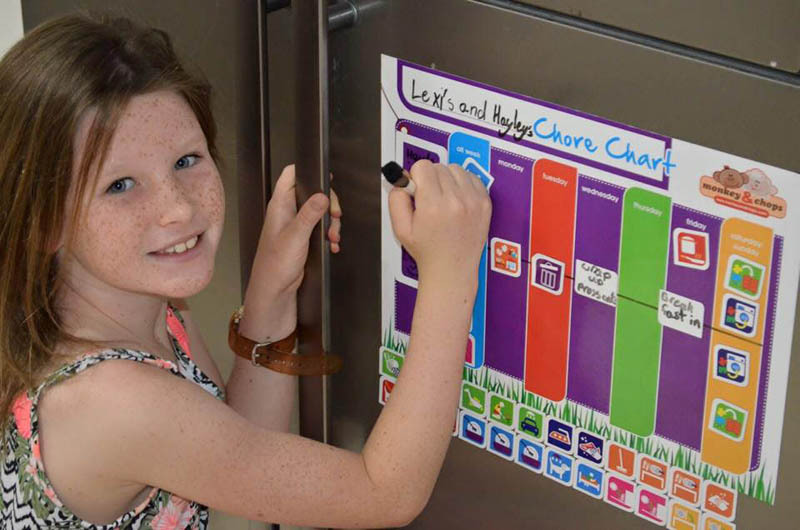 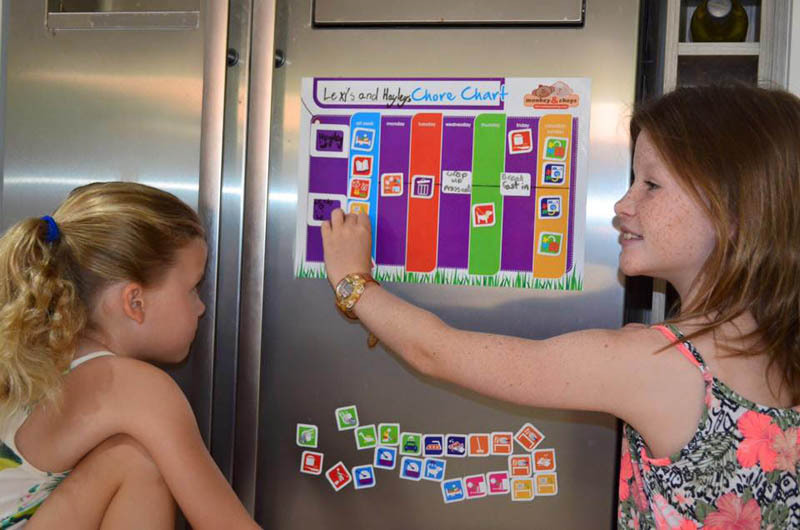 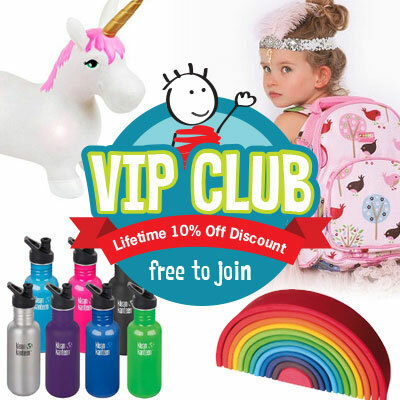 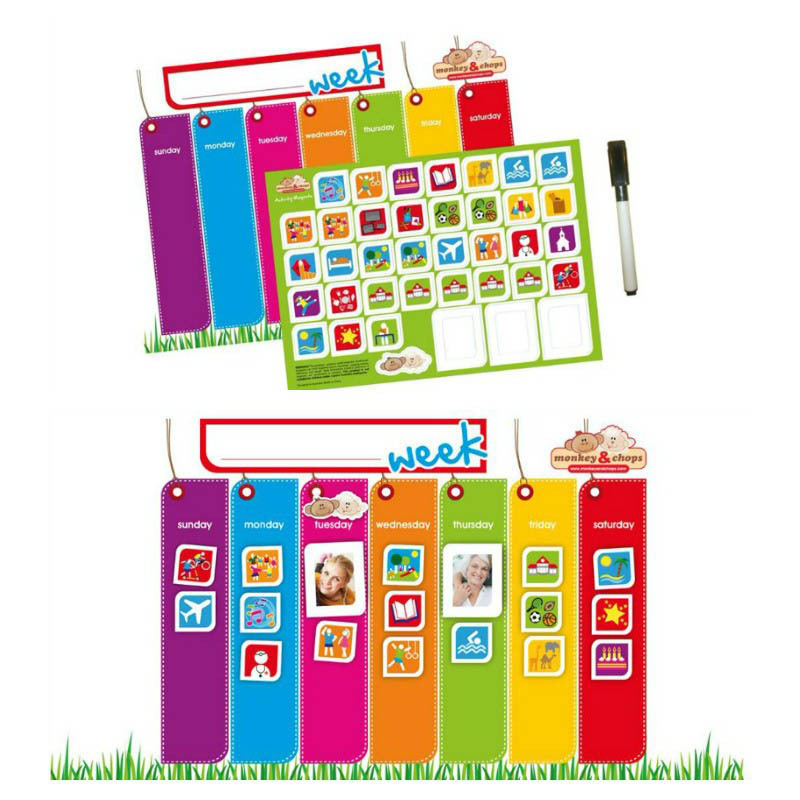 A fully Magnetised, interactive Daily Routine Chart which provides children with visual reminders that encourages co-operation, establishing family responsibilities, organisational skills and contributing positively to the family unit. 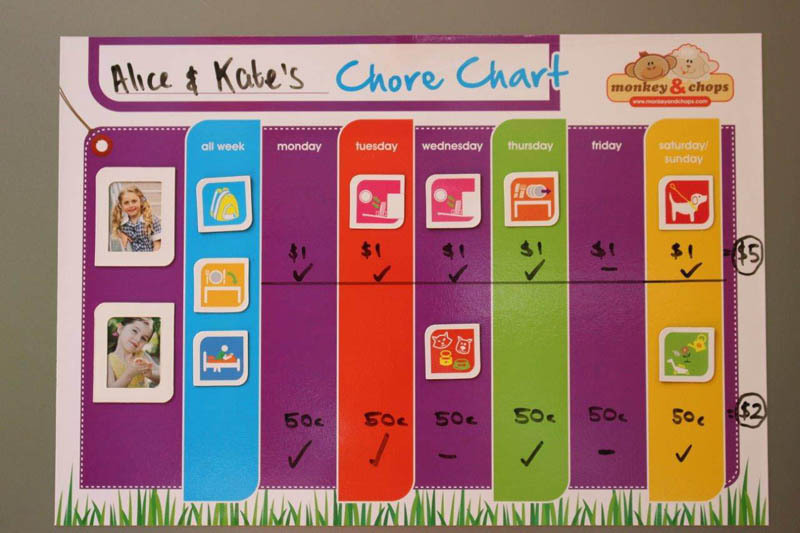 This fully magnetised chart is so verstaile and can easily be moved and adjusted as chores change and has space for upto 3 children to place a photo of themselves in the frame magnets. 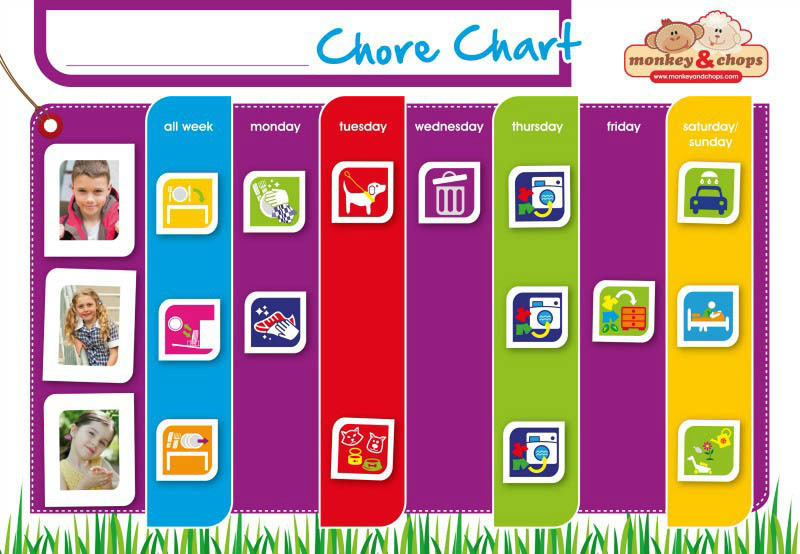 The Daily Routine Chart is an excellent tool for developing co-operation, teaching responsibility or setting expectations for earning rewards! 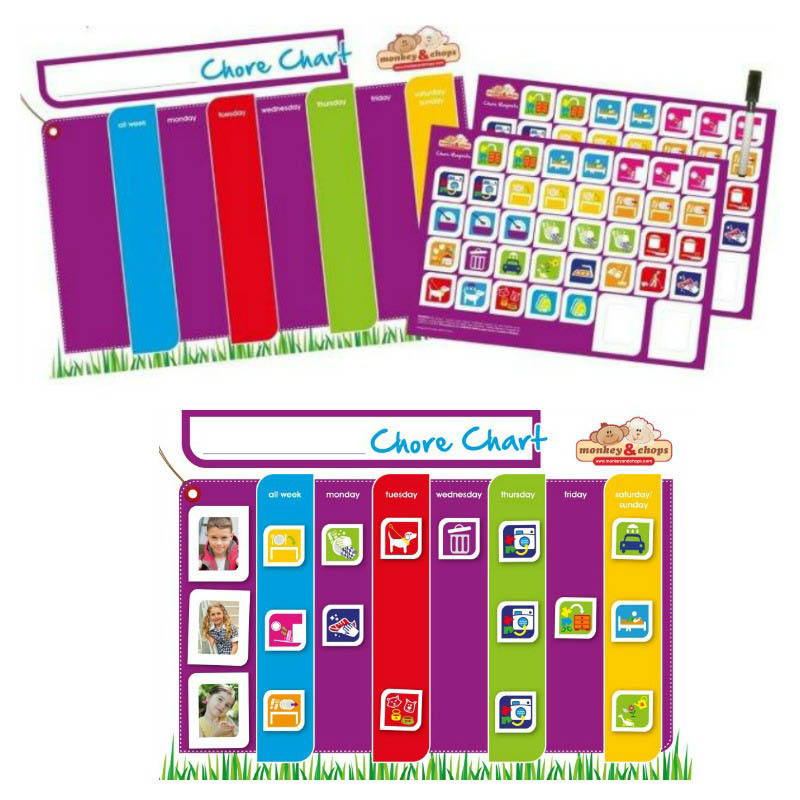 Included with Chore Chart: 1 x Chore Chart magnet; 2 x Chore magnet sheets (72 chore magnets, 3 photo frame magnets, 3 blank magnets); 1 x dry-erase, magnetic pen.